We’re happy to be the best St. Louis towing and roadside assistance company in the area. We continue to receive high marks in customer satisfaction because of our commitment to quality service. We provide both towing rescue as an emergency service and long distance towing. Our goal is to deliver your automobile damage free and get you back on the road quickly and safely. We pride ourselves on both our trucks and staff. 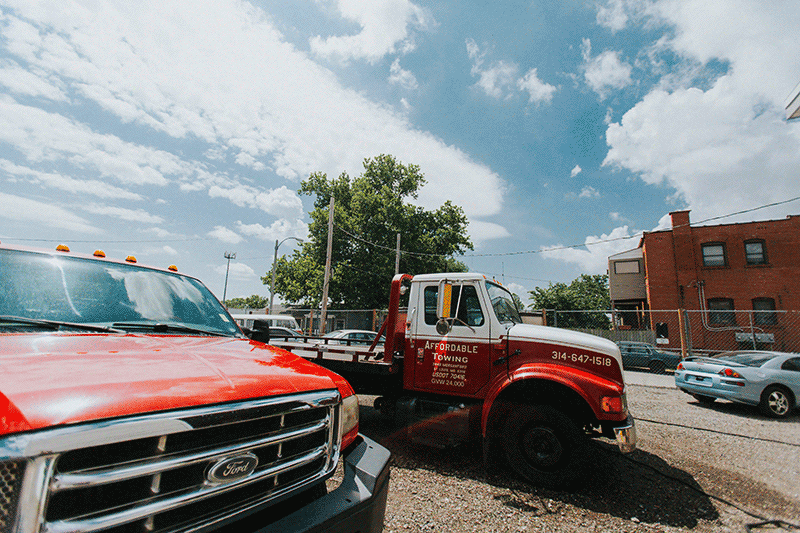 Our fleet of tow trucks feature the most updated and functional equipment to date. We also have an outstanding team of experienced professionals who are always ready to help. We know that when your vehicle is in an accident or breaks down, you’re going to need assistance from someone you can trust. The first steps are usually calling the police and your insurance company, then the next most common call is a towing company. That’s where we come in. We have knowledgeable technicians who have been towing cars for years. We’re also equipped with state of the art tow trucks designed to travel far distances and haul all kinds of cars, no matter the size. Our vehicles are required to handle almost all situations that can leave you stranded on the side of the road. We know how important it is to find a dependable, fast, and friendly towing company in the St. Louis area. Luckily, you don’t have to look far. We’re here for you at all times of the day, ready to assist you in any way we can. Get to know our staff and great service to make the task of choosing a St. Louis towing company easy. A Towing Company You Can Trust. When it comes to price, we offer the most competitive rates in all of St. Louis. We know that’s a bold statement, but we only say it because it’s true. As stated above, we’re efficient, fast and reliable when it comes to delivering our services to a stranded driver or motorist. We truly care about our customers so we make customer satisfaction our top priority. Don’t let another company rip you off with overpriced and unreliable towing. Our competitors have been known to do this and unfortunately it’s very common in this industry. There are those who will prey on you when you’re stranded because they know you’re desperate. We never want anyone to capitalize on your distress. If you need help in the St. Louis area call us for all of your towing service needs. We promise we won’t let you down. You can call us 24 hours a day, 365 days a year. Misfortune doesn’t take days off so neither do we. Don’t forget we also buy junk cars and motorcycles and we sell them too. If you have any questions or want more information, don’t hesitate to reach out. Please Contact Us By Calling As We Will Get Back To You Quicker!